This grilled asparagus recipe comes from Savigno, Italy, a hamlet it the hills south of Bologna, by way of my friend Alberto Bettini. Along with being the third generation to run his family’s incredible restaurant and inn, Da Amerigo, Alberto is passionate about preserving traditional foods and recipes. He shared this one with me in much the same manner as it has probably been passed on for centuries (Alberto calls it an ancient recipe): by simply describing it. Like many Italian recipes that have endured the ages, this one is simple in technique and ingredients, yet surprisingly complex in flavor. Serve this asparagus as an appetizer (it’s great as part of an antipasto platter), tossed with pasta, or simply snacking on out of hand. 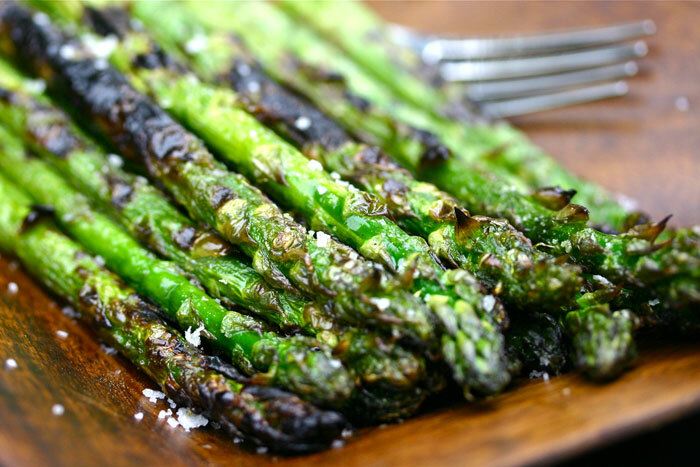 Toss asparagus with olive oil, salt and pepper and let marinate for at least 30 minutes and up to 2 hours. Heat grill to medium-high and grill asparagus over direct heat for 3-5 minutes, turning on all sides, depending on thickness. Asparagus should be tender and slightly charred yet still crisp. Serve hot or at room temperature garnished with fleur de sel.